New Year. New Book. New Rules. That’s how I told the world I was going to be publishing and writing my own book earlier this year. At that time, I thought I’d be publishing the book in a couple weeks and would have no issues making a deadline of February for launch. And here we are, the end of May and I’m finally able to say, it’s done. It’s complete. The 160,000 word beast, Stand Out: The Content Marketing Guide for Entrepreneurs is now available for purchase! It’s not different enough yet. It’s not going to be good enough. The biggest excuse that I continued to rely on was the age old tale…. I’ve talked about this excuse before. Unfortunately, I didn’t take my own advice around time management. One of the biggest lessons I’ve learned in the last few years is that the idea of time management doesn’t exist. We cant manage time because time is a constant. Whether I wrote another chapter in my book or not, time was going to continue. Whether I took a break to relax or not, time was going to continue. Time continues and whether we stand still or not is our own decision. It’s so easy to move priority projects to the bottom of a to-do list. Over the last few months, I’ve written more than 300,000 words. I’ve written more than 50 blog posts, created 2-3 ebooks, published 2 ultimate guides and have built a handful of presentations and slide decks. The content has generated more than 500,000 times and blew me away. At this point, I’m happy that carpal tunnel has yet to kick in and excited to be able to impact and share advice and information with people around the world. I’ve received emails from people I grew up with along with emails from people in places as far away as Singapore. It’s these emails that make creating all of this content and sharing these stories worth it. It’s the idea of helping people get what they want out of life that gets me excited. And writing my first book was an opportunity to continue helping people (specifically Entrepreneurs) in understanding how they can tell a more compelling story and how they could do it effectively. This post is meant to highlight some of the key lessons I learned while writing my first book. If you don’t plan on ever writing a book, that doesn’t mean this post isn’t for you. This post is about more than just writing a book. It’s about life. It’s about challenges. It’s about the struggle. It’s about learning and growth. Take from it what you can and if you like what you read, sign up for my newsletter and get more insights like this delivered right to your inbox. Lesson One: Focus. Focus. Focus. It’s not easy to stay on task. Distractions can come from anywhere. Often, the distractions that get in front of us are the distractions that we put there. We come up with reasons why we need to focus on something else. We rationalize the short term gain without thinking about the long term benefits. Failure meant a stripping away of the inessential. I stopped pretending to myself that I was anything other than what I was, and began to direct all my energy to finishing the only work that mattered to me. That woman was J.K Rowling, the author of Harry Potter. She focused her attention on her book and created an empire. Focus wins. The best businesses are created through focus. The best ideas are brought to life with focus. Focus is something I’ve struggled with for quite some time. I have new ideas, new projects and new things I want to try every other day. While I haven’t been medically diagnosed, I wouldn’t doubt for a second that I have a mild case of ADHD. Oh look, it’s a squirrel! When I first started writing this guide, I wasn’t focused. I was trying to write the content marketing guide for entrepreneurs at the same time I was writing the Hustle Manifesto. It was stupid. As soon as I put the Hustle Manifesto on hold and started dedicating my time to this guide, my focus started to turn into progress and a final product was created. As you think about your life goals, you have to focus. Remove distractions in the short term and make the sacrifices you need to to achieve your goals in the future. If you truly want to achieve these goals you’ll make them happen – If you don’t, you’ll make an excuse. It’s easy to make a goal. This year I’m going to write a book. This year I’m going to make $100k a year. This year I’m going to run in the local marathon. This year I’m going to lose my gut and have a six pack. See how easy that was? Every day people make goals. Whether its a New Years Resolution or a late night urge of inspiration that makes you want to change your life – coming up with goals are easy! In fact, coming up with goals are also fun! It’s fun to think about how great it would be able to call yourself an author. It’s fun to think about how many girls will think you’re hot if you have a six pack. It’s fun to think about all the trips and fancy things you can buy with $100k salary! Yes, goal setting is fun and easy but accomplishing them is really hard. You don’t achieve these goals overnight. Any goal that is worth having isn’t going to be accomplished over night. It’s going to take many late nights, many early mornings and many sacrifices to actually make that goal a reality. I couldn’t just publish a book. I couldn’t just magically write more than 160,000 words. I had to write them one word at a time. I had to write one chapter at a time. I had to research each topic one at a time. That’s how writing a book works. That’s how building a business works. That’s how life works. I think the biggest issue is that we focus on the gap it takes to get to a goal instead of focusing on the little things. There’s a big difference between setting goals and identifying the key results that will help you achieve them. After much procrastination and optimistic thinking, I forced myself to write 1000 words or more every day for an entire month. The commitment was inspired from a blog post written by Nathan Barry on his commitment to writing 1000 words a day. GOAL: This year I’m going to write a book. KEY RESULTS: Write 1000 words a day. GOAL: This year I’m going to make $100k a year. KEY RESULTS: Ask for a promotion or start a business with $8.5k revenue per month. GOAL: This year I’m going to run in the local marathon. KEY RESULTS: Run five days a week. GOAL: This year I’m going to lose my gut. KEY RESULTS: Eat less than 2000 calories and workout 5x a week. Things don’t just happen. Things happen because something else happens first. If you want something, you have to go get it. Setting a goal isn’t enough. You lay one brick at a time to build wall. Ask yourself what steps you can take to get closer to your goal, what are the key results you can hold yourself accountable to – Find these answers and make it happen. I’m thrilled to say, I can now check writing a book off my bucket list. If you’re an entrepreneur or someone who wants to know how to leverage content marketing to drive success, check it out: The Entrepreneurs Guide To Content Marketing. And for all those who have offered support and love thus far, I thank you! Without you, none of this would have been possible. Ross, my friend! Had no idea you were on the road to becoming a published author! Congrats first of all and a secondary thank you for providing such valuable lessons in this post outside of just writing a book. Is your book a hard/soft cover or just a download? Thanks man, means a lot.. It’s been a long (yet fun) road but it’s finally complete. As it stands, the book is download only – I might release a hard copy version down the road as I’ve been asked quite a bit since launch. Appreciate the support & comment – Hope all is well! Love the post Ross. 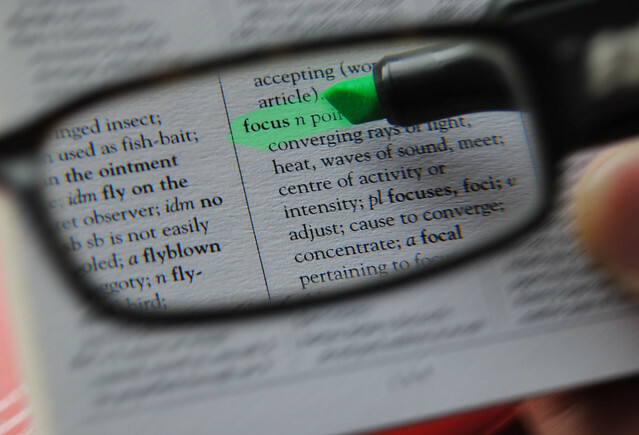 You have hit the proverbial nail on the head about focusing and prioritizing. Thanks for the push.